According to the latest census in 2004, Jordan had 5,100,981 inhabitants, although almost 200,000 more were not counted. The vast majority of the population is Arabs, while there are some Kurds, gypsies and Armenians. There are also a large number of Palestinian refugees in the area, as Jordan is a friendly country and has not refused shelter to those who may have had a need for it, regardless of their nationality. The official language of the country is Arabic, while English is also quite common, mostly due to tourism. French is also spoken by the most educated people here. Jordan is a country of Southwest Asia, bordering Syria, Iraq, Saudi Arabia and the Dead Sea. The Gulf of Aqaba also touches the country. 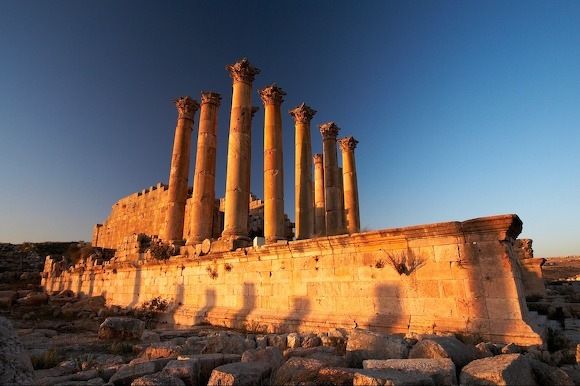 The capital city of Jordan is Amman. Large plateaus and forest lands compose the scenery, although the Mediterranean influence is quite evident. The lowest part of the country is the Dead Sea, almost 1,000 meters below sea level. The climate of the country is semi-dry and hot during summers, although winters are humid and quite cold. The history of Jordan is associated with the Lost City, Petra, which was founded by the ancient Semitic nation called Nabataens. Petra was a commercial and cultural hub, a rich and indulging city that enjoyed prosperity and riches like no other in the region. It was absorbed and lost during the Roman Empire. The region has been conquered by Persians, Turks, Greeks, Romans and the Arabs. The influences are evident, especially when it comes to landmarks and ruins. 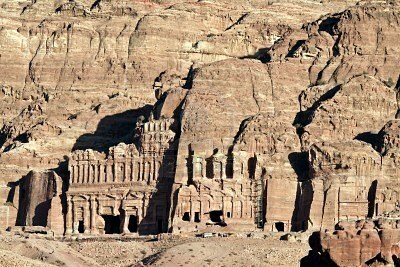 Needless to say, Petra is the predominant attraction in Jordan. The red city is situated in the southern part of the country. Its grandeur and importance have made it a World Heritage Site recognized and protected by UNESCO. In 2007 it was voted one of the Seven Wonders of the Modern World. The Monastery, the Roman Theater, the Royal Tombs, and the High Place of Sacrifice are some of the main attractions in Petra. 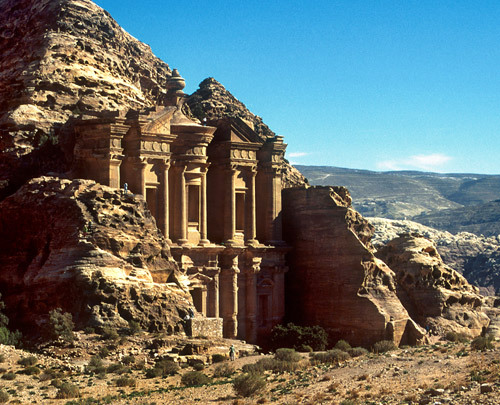 Except for Petra, though, Jordan features impressive natural landmarks. 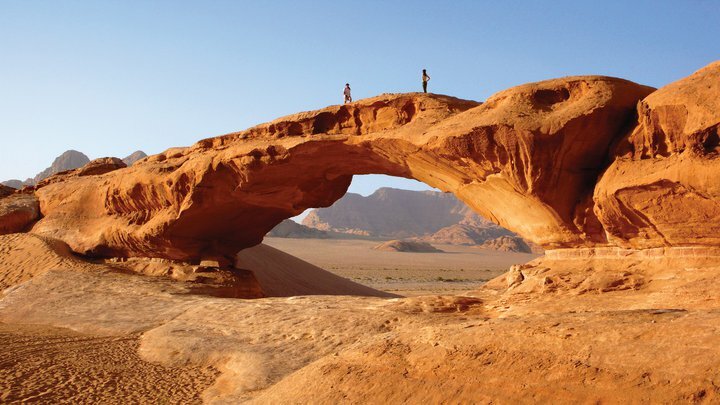 The red desert of Wadi Rum is a place to visit. This place was associated with Lawrence of Arabia and is visited by numerous tourists. The Gulf of Aqaba on the other hand boasts of the most breathtaking coral reefs in the region, while the Dead Sea enchants with its lifeless past. The wadis in the region offer magnificent and lush palm forests, while Amman is the center and cultural hub of the Middle Eastern country. The River Jordan, the Mount Nebo, (where Moses went before he died), Aqaba and the Madaba are among the must-see sites when visiting Jordan. 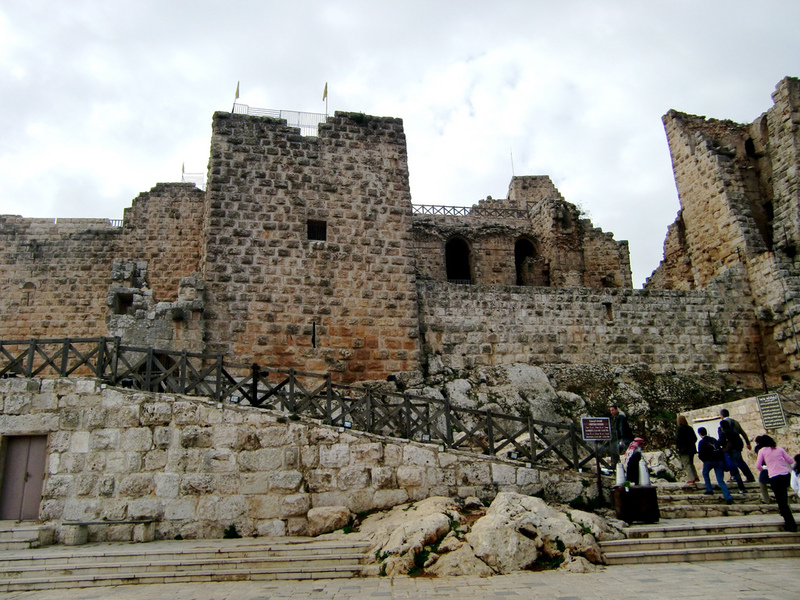 Ajlun is also famous for the Islamic al-Rabadh Castle, while Karak features one of the well-known castles in the region. Health tourism and educational tourism are also becoming very popular in the country. Nightlife is not very rich in the area, especially since it is an Arab country. However, since tourism is important in the country, there are many bars and restaurants that serve alcohol and feature live music that is mostly Oriental. In fact, the Oriental night clubs are absolutely the greatest attraction of Jordan at night. The cuisine in Jordan is predominantly shaped and influenced by Oriental flavors and tastes. The most common and everyday food there is the khobez, a flat bread which is delicious when warm. Labaneh, zaatar, hummus, falafel, olive oil and tea make up the typical breakfast. It is still served in some hotels, although if you opt for an international resort, you will probably have a continental or buffet breakfast. The national dish of the country is the mansaf, made of lamb, rice and spices. Maklouba, freekeh and stuffed veggies are also very common in the Jordanian cuisine. Jordan, and especially the city of Amman, features a large variety of restaurants. One of the most popular restaurants is the Mansaf, located in downtown Amman. Restaurants serve Lebanese food. Some of the must-visit places are Abu Jbarah, famous for its falafel, the Al kalha, a famous hummus restaurant in Jordan and the Al-Daya'a and Reem, famous places to get shawerma sandwiches and dishes. Those who do not want to give up on the international cuisine will not have a problem though, as Jordan has many international restaurants, as well as many fast food chain restaurants, such as McDonalds, Pizza Hut and Burger King. The relics of the past make Jordan a very important and unique place definitely worth a visit. Its history is full of reigns, conquerors and wars. Even in recent history Jordan has had problems with its neighbors and has lost some of its territories due to conflicts and wars with other Middle Eastern countries. Today, Jordan is a constitutional monarchy, as declared in 1952. The Jordanian culture is largely influenced by the Arabs -- the language, the religion, the art -- everything depicts and reflects the rich history of the Arabic culture and civilization, although it is still evident that the country is developing. Jordan is one of the most hospitable countries in the world, respecting all tourists and visitors, as long as they respect Islam. It is recommended that both men and women wear modest clothes when wandering around, especially when visiting sites of religious importance. The population is made up predominantly by Muslims, while there are some Greek Orthodox and Catholics in the area. Armenian and Protestants also exist, making the country, and mostly Amman, a colorful and interesting patchwork of civilizations and cultures.